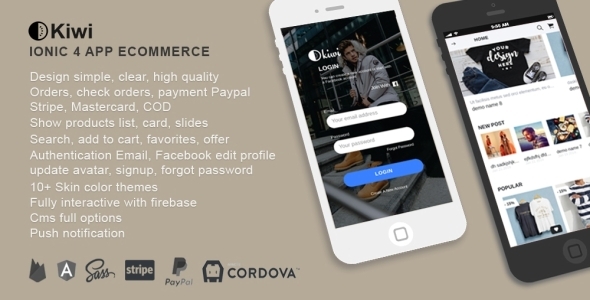 Kiwi is an e-commerce app ionic 4 build on Firebase,It come with an admin panel build on Angular, help you easy to management backend without know how to firebase work. Authentication email, facebook edit pofile, upload avatar, signup, forgot password. All demo photos do not include in download package, thanks all people !! !